For those familiar with the label, the fact that Masters Of Cinema have managed to outdo themselves with their release of The Passion Of Joan Of Arc should send a clear message that this is a package of very high value indeed. The typically reverent case design holds, in this version, not only the Blu-ray, from a new restoration, but three versions of the film, two DVDs and the obligatory booklet, which runs to an astounding one-hundred pages. This isn't just a great film: this is an astonishingly informative and beautiful set that does more to curate the history of cinema than some labels manage over their entire lifespan. The Passion Of Joan Of Arc, considered by many to be the finest film from the silent era, is a film worthy of such dedication, devotion and scholarly contemplation. Carl Theodor Dreyer's film proves, amongst other things, what beauty can be created by the moving image, with little gimmickry present to manipulate anything. Dreyer's film, focusing on the trial of Joan (Maria Falconetti) and her subsequent execution, easily ranks as one of the most emotional pieces from its era, all accomplished sans dialogue and with very few title cards. With Dreyer over-seeing things, the core of the film unsurprisingly rests with Falconetti, whose performance is incredible. 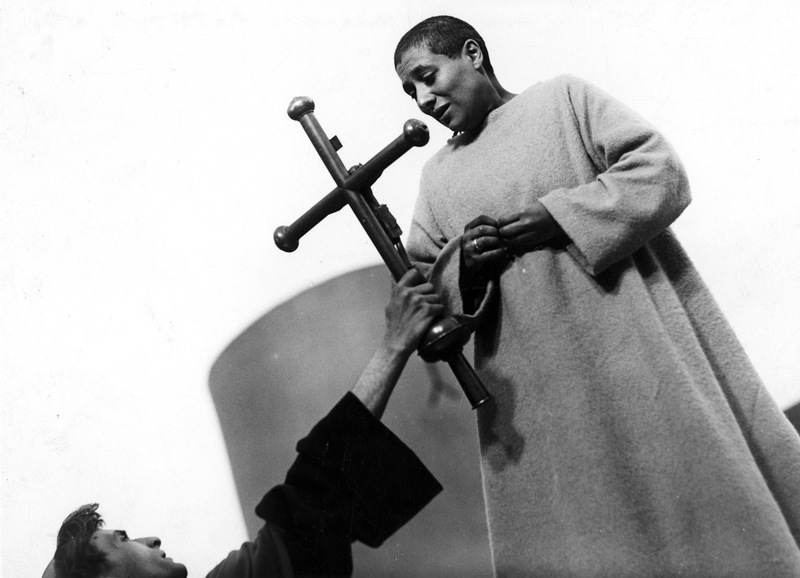 Shot almost entirely in close-up (which Dreyer claims in the booklet was the only way to interpret such a battle), Falconetti pivots Joan through a range of emotions, communicating with the audience through tear-streaked cheeks and subtle gestures. It is incredibly easy to fall in love with Joan; with her ideas, her plight and her simple beauty. Actors with reams and reams of emotionally fraught dialogue have done far worse at portraying a character than Falconetti does here, as Dreyer moves camera angles to represent her dynamic, honest argument, whilst the fusty scholars opposing her are stuck with straight shots. Dreyer's film makes its case clearly for the defence of Joan, against the onslaught of vitriolic persecution she suffers. It is, sadly, a worldly message, present and applicable still today, rooted in the ills of fundamentalism, the lack of ability for cultures to accept one another, and elements of xenophobia and intemperance. Joan does not share the opinions of the scholars who condemn her and is therefore declared 'one of Satan's gang'. How sad that certain elements today cast similar aspersions to those pilloried by Dreyer, in a film released in 1928. The institutionalised nature of the trial - at one point a member of the phalanx of judges is seen being cajoled into voting against Joan - rams home the inherent injustice. 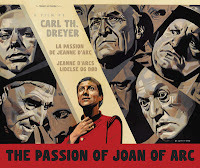 As part of the production Dreyer insisted that the actors read the words of Joan's real-life trial, exactly as they were written. This leads to a curious mirroring of the reality and the fiction: Joan's argument, delivered by Falconetti, can of course never be heard, a perhaps accidental depiction of the fact that it did, at the time, also fall on deaf ears. The version of The Passion Of Joan Of Arc presented on this set at 20fps proves to be the most attractive watch, thanks to the optional piano soundtrack, provided by Mie Yanashita. Yanashita's composition keeps things perfectly minimalist, and plays purely as accompaniment to Dreyer's vision, rather than something designed with storytelling aspirations. There are though, pleasant hints that actually add to Dreyer's vision. The fact that the score peaks during Joan's claim that God has promised the 'salvation of my soul' is unsurprising, but its apparent weaving of something which sounds remarkably like a funeral dirge shows pleasant insight on Yanashita's part. The alternative version of that cut of the film, presented at 24fps, features an accompaniment by Loren Connors, which clutters up the audio far too much with things that approach sound-effects and which many may consider to impinge on Dreyer's vision to far too great a degree. The Lo Duca version of the film is also included as part of the package, although it was not considered as part of this piece. Whichever version is chosen, the restoration of Dreyer's film is also nothing short of remarkable. Some grain and light flicker do remain on the image but, by and large, this is another wonderful example of the expertise and power available to those who work on the preservation of our movie heritage. The simple example of the process which comes on the blu-ray is a much watch to understand the benefits and just how much difference has been made to the experience of Dreyer's film. 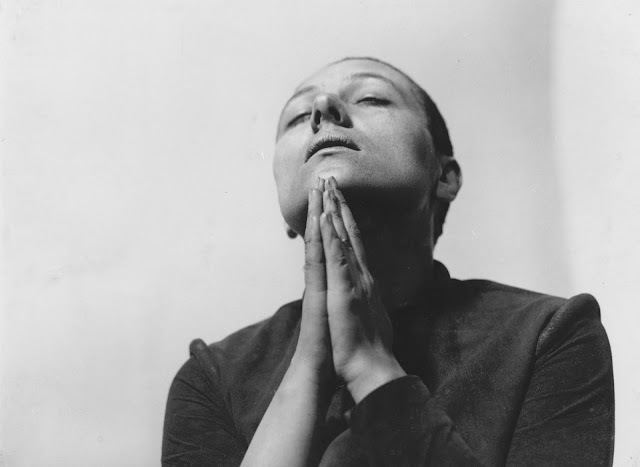 For all the soundtrack options, the packaging and yes even, to a point, the restoration, though, it is Dreyer's work which The Passion Of Joan Of Arc is most worth watching for. The directing skill involved in telling a story in this way, with so much raw power and emotion from the very first frames, is incalculable and its value to film fans, beyond estimation. This is one of the releases of the year, yes, but more importantly it is one of the films of all time. A must buy. Is it wrong that I haven't seen this piece of art yet? So many films and so little time, Sam! I know the feeling. Enjoy it when you do get round to it.